Helen is one of those pretty umbrella girls we have seen dressed up in Hankook gear during Formula D events. Finding out she was local to us, we knew it was a must that we got her in for a shoot. The vehicle is Ryne Cunningham's of Cunningham Motorsports personal C6 Z06 Corvette with one lopey cam. As we made our way to the primary shooting location, we were disappointed to find out that it was closed down for construction. With no backup location selected and not knowing the area very well, we waited on locals to tell us where to go next. As the sun began to set, we found ourselves on a very back lit Lake Elsinore road. We made it work, and the reflector was pulled out and saved the day! Something you didnt know about Helen: I live in North County San Diego, and was raised in Coronado and Europe. I am Hungarian and Slovakian, and I speak both languages. I have to say I grew up in a very strict old school style, and I would definitley describe myself as more of a good girl than a bad girl! I'm not easily pressured into things I don't want to do, but I am very open minded. Career Aspiration: I want to get into fine arts. I want to design, or basically anything creative. Likes: I love to go to car shows, the beach, hot tub, watch movies, playing with my dog, drawing and painting. Things I cant live without: I love my crazy parents, my pomeranian Ollie bear, my pitbull Greddy boy, cars, Hello Kitty, skateboarding, relaxing by the beach and tanning by the pool. I collect watches and sunglasses. Current Car: I have a Subaru WRX wagon, with a JDM sti swap, engine rebuilt to a 2.6 liter, Rally Blue. I think its pretty legit, it was on the cover of import tuner back in its day. I am proud to say I can drive stick pretty decently for a girl. What kind of guy she likes: I like dirty boys! Longer hair, tattoos, tall and tan. Not too muscular, just a little bit. They need to have great style, common interests, and a chill personality. Something you didnt know about Ryne's Z06 Corvette: Ryne bought his Z06 Corvette in 2008 to build a shop car that could be drag raced, road raced, and still a daily driver. This was also intended as a display to the capability of the Z06 through minor modifications. 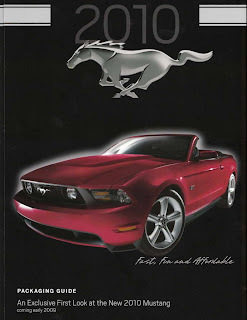 This entry was written by by mark@stangtv (Stang TV Forums) and posted here on Wednesday, December 23rd, 2009 at 6:28 pm and is filed under Vintage Mustangs. This article was not written by us, rather gathered using RSS feeds listed here. We take no credit for this article. Both comments and pings are currently closed.